Description: A new roster update for NBA 2K13 is now available, accurate as of March 12, 2013. The latest update adds Aaron Brooks to the Houston Rockets lineup with 78 overall rating and bunch of players have been added to the injured reserve list. 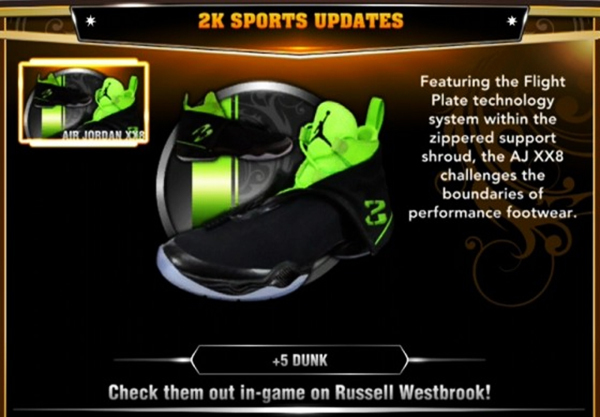 - The Air Jordan XX8 shoes which gives +5 dunk attribute are now available in NBA 2K13. Check them out in-game on Russel Westbrook! You can also assign the shoes to other players through Features > 2K Shoes > My Shoes. 2. Go to the 'Official 2K Roster' and download the latest roster. 1. Download the NBA 2K13 offline roster update pack below.